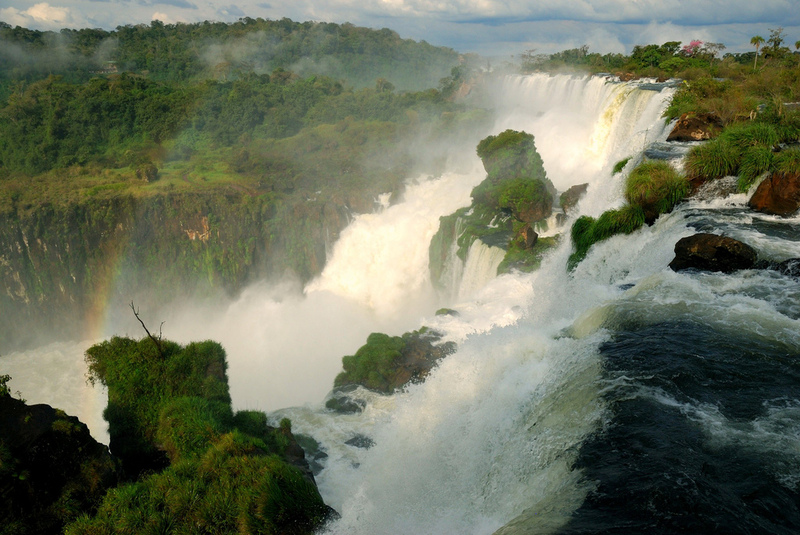 Iguazu falls is on the border between Brazil and Argentina. 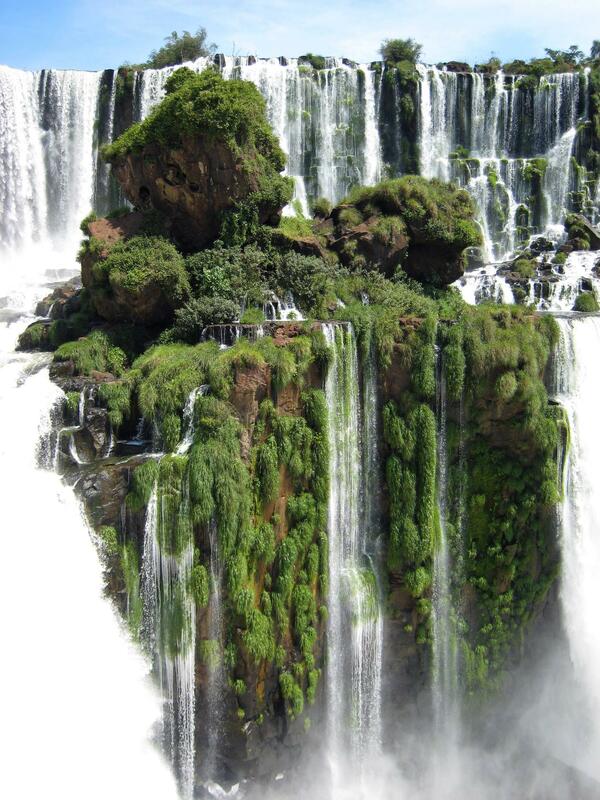 It is one of the widest waterfalls on earth. If you ever imagined an island coming out of the water and floating in the sky, this picture is for you. Though it does not actually leave the earth, it seems to play on the imagination of an island acceding. 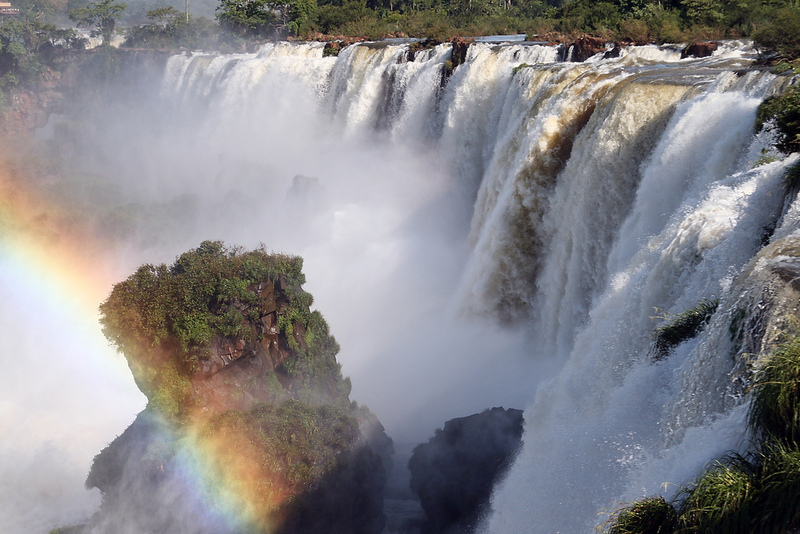 The falls can be reached from the two main towns on either side of the falls: Puerto Iguazú in Argentina and Foz do Iguaçu in Brazil, as well as from Ciudad del Este, Paraguay, on the other side of the Paraná river from Foz do Iguaçu. 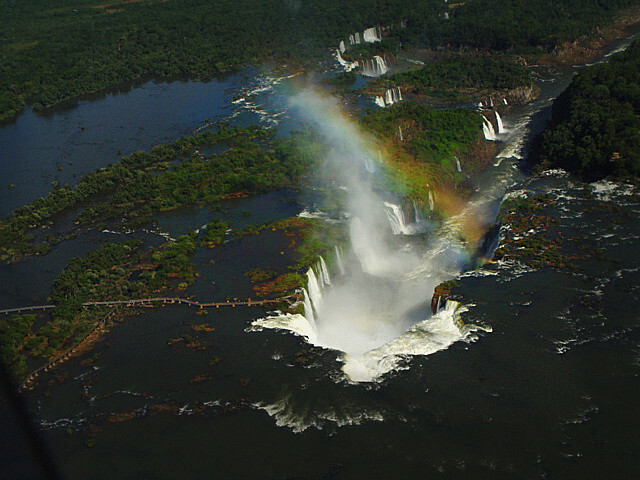 The falls are shared by the Iguazú National Park (Argentina) and Iguaçu National Park (Brazil). The two parks were designated UNESCO World Heritage Sites in 1984 and 1987. – via Flickr 1, 2, 3, roycesworld.com, Wikipedia.